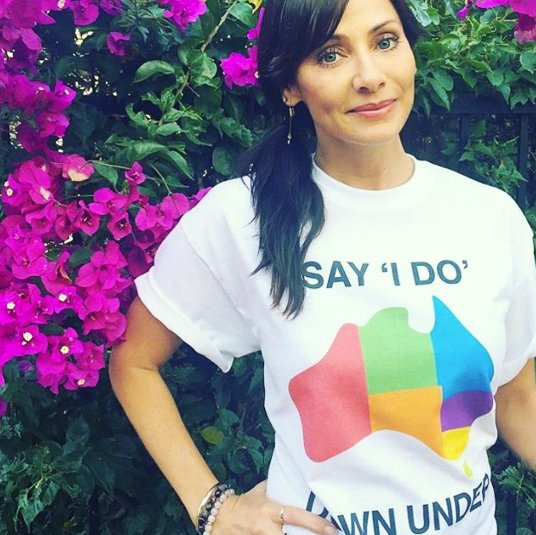 Celebrities are lining up to show their support for marriage equality. 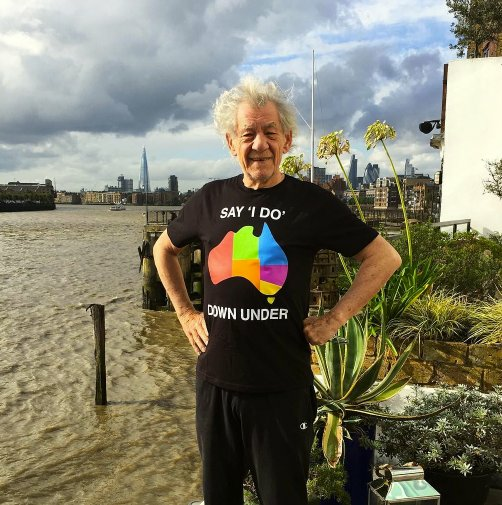 As the date for Australia’s postal plebiscite nears, Australian celebrities have come out in force to show their support for each and every Aussie having the right to legally love whoever they damned well choose, issuing an import PSA in the process. Chris Hemsworth is all for the YES vote. Source: Getty. 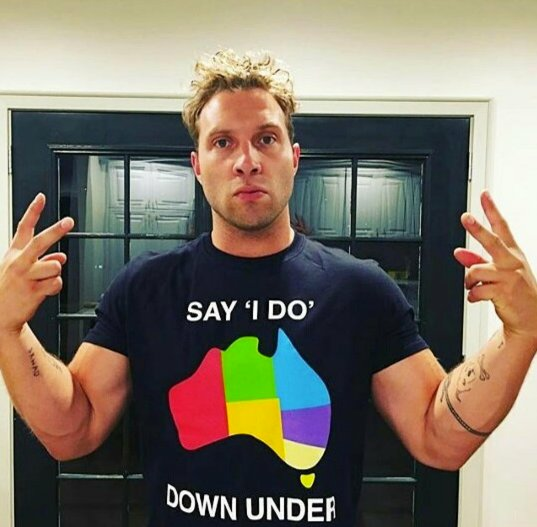 This year&apos;s Channel 10 lothario, Matty J also shared a reminder to his fans,saying, "Not every Australian will get the chance to date 22 people on national TV but they should all have the opportunity to marry the person they love and be treated equally under the law. 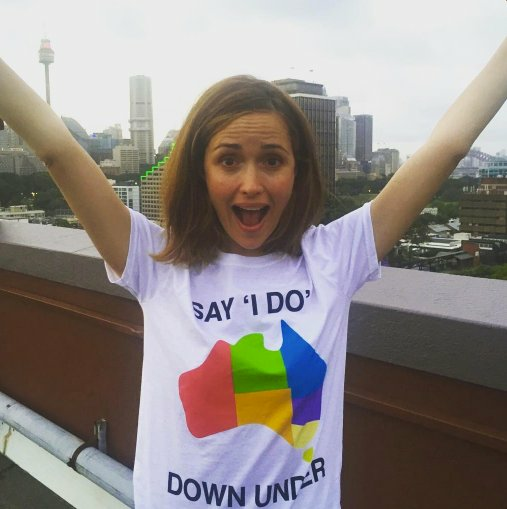 If you support marriage equality make sure you enrol to vote or update your details by midnight August 24." 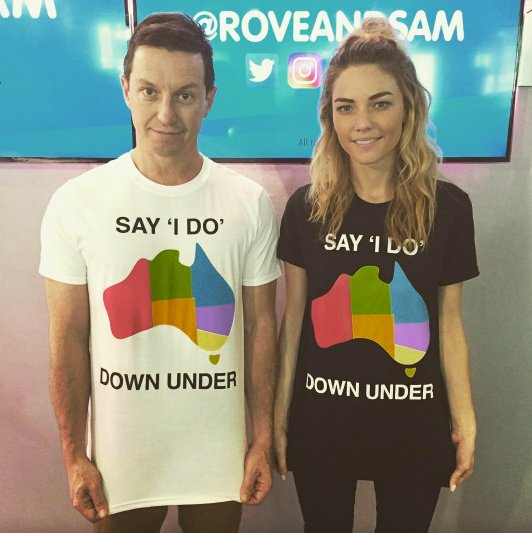 Margot Robbie also shared the love, posting a message to Instagram that read, "LOVE IS LOVE," and directed Aussies living internationally where to enrol and update their details. 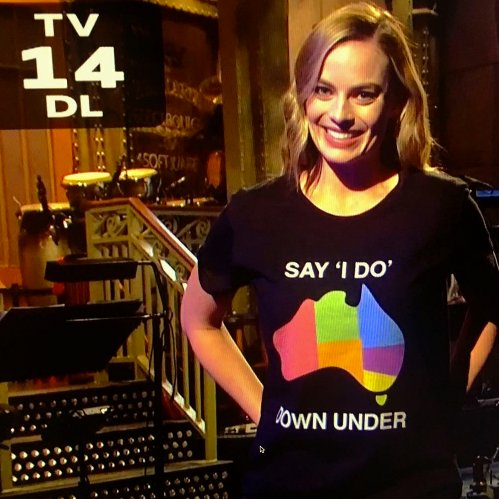 The message came months after the Suicide Squad actress wore the iconic &apos;Say I Do Down Under&apos; t-shirt on Saturday Night Live last year. 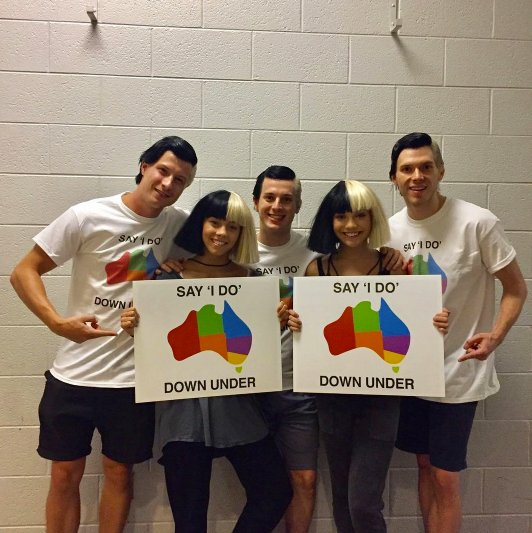 Incredibly, the PSA also made it halfway around the world after Meghan Trainor learned her photo and lyrics to one of her songs had been misappropriated and used by &apos;NO&apos; campaigners. "I SUPPORT MARRIAGE EQUALITY! 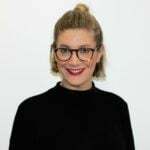 Someone in Australia is illegally using my picture for a campaign against marriage equality. So wrong. Not okay," Trainor tweeted on Wednesday. "I&apos;ve said it before, Everyone should be able to love who they want. I support equality, period," she added. 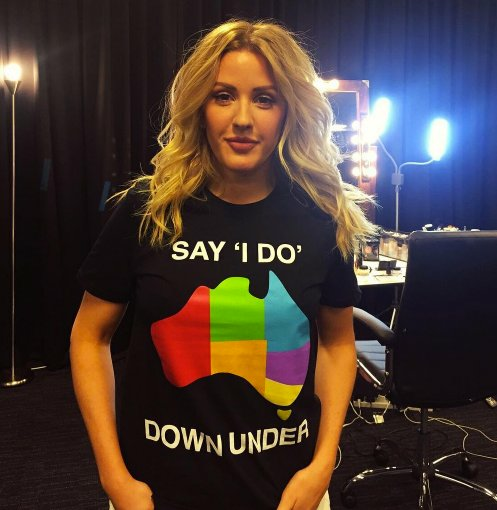 Kylie Minogue, Guy Sebastian, Jesinta Frankin, Tina Arena, David Campbell, Hugh Sheridan, Anna Heinrich, Magda Szubanski and countless others have also lent their names to the cause. And don&apos;t be fooled into thinking an impassioned Instagram post is good branding and simply shared in the interest of appearing on the right side of history; the support of these celebrities offers a lot. 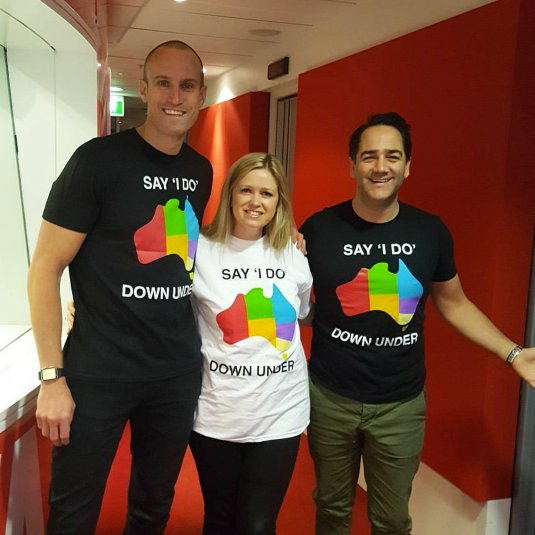 As it stands, there are approximately half a million Australians aged between 18 and 39 who are not enrolled to vote. Why that is isn&apos;t yet clear, but who they&apos;re following on social media is, and there&apos;s a very good chance that it&apos;s at least one of these famous faces who believe in and want to make our country an equal place. So even if that little voice inside of your head is saying your vote doesn&apos;t count or that you can&apos;t be bothered - know this: Chris Hemsworth is imploring you to do it. And if that&apos;s not a reason to get you online for five minutes of hard work, we don&apos;t know what is. Head to www.aec.gov.au/enrol/ to update your details or enrol to vote by midnight Thursday 24 August.